For the 12th consecutive year, acclaimed songwriter Craig Wiseman and his friends led a memorable night celebrating music and friendships, to bring their total to over 1 million dollars raised for Second Harvest Food Bank of Middle Tennessee since the event’s inception. The 12th annual benefit concert, held Tuesday at the historic Ryman Auditorium, featured headliner Blake Shelton, who dazzled fans with his banter and his performance of his hit songs including “Came Here to Forget” – his current #1 single written by Wiseman (and Deric Ruttan). 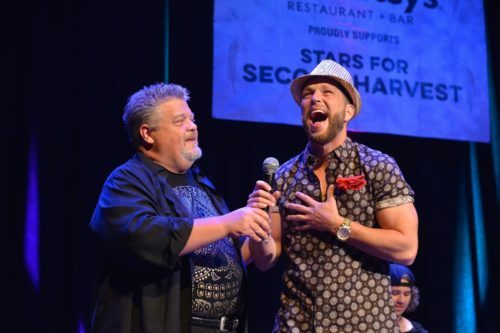 This year’s line-up also included a Songwriters Round with Wiseman, Shane McAnally and Josh Osbourne and performances by Shelton, Chris Lane and Kane Brown. Since its inception 12 years ago, the annual event has now raised enough money to provide over 4 million meals to Middle Tennesseans at risk of hunger.